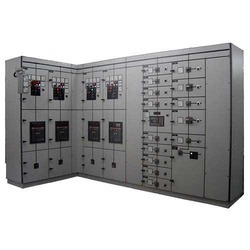 Manufacturer & Supplier of Synchronized Control Panel for Offices. Our product range also comprises of Control Panels, Electrical Control Panels and VFD Control Panel. We are an one of a kind name in the business to give our prestigious customers a selective scope of Synchronized Control Panel. Our control panels are fundamental with electrical representative framework with the distinctions in voltage and stage point set in the middle of network and gen-set. The offered control panels are manufactured utilizing quality demonstrated segments and propelled innovation in accordance with the quality standards. Additionally, our profitable customers can benefit these control panels from us at focused rates inside of a limit time.